A couple of weeks ago, I had this most peculiar conversation with someone “in high places”. I mean, I did not meet that person for an official purpose – it was a social visit, I leave official meetings to senior bloggers. The person’s rank and occupation were not obvious to me, as I was told, much later on, I was talking to an official from the Interior Ministry. And so, the summary of our discussion is a bit at odds with the kind of posts I usually publish: this is, if anything, a first-hand account of what seems to be the prevailing argument up there. Alternatively, I could be mistaken, and the green I am in practical politics might have been fooled with a tailor-made speech for would-be “young politicians”. The thing is, the argument was extraordinary to my ears, simply because it betrayed what seems to be a newly developed, intelligent approach. That’s why I am posting about it: Intelligent. By intelligent I mean a very perverse – adulterating- policy into systematically chaperoning whatever novel proposal might pop in the Moroccan political discourse, carefully taking into its confidence any initiative likely or potentially likely to change things too radically. In a nutshell, the idea is to encourage young Feb20 activists to join mainstream political parties and shake them to their foundations. And as my interlocutor said, they have the next 5 years to achieve the following set of objectives: take over the partisan apparatus, topple down the old-guard leadership and before you know it, the Palace will hand over its powers and obligingly establish itself as a true parliamentarian monarchy. The perfect scheme, even to my taste. Who would oppose this offer? it sounds responsible and moderate, plus it has the advantage of cleaning political parties’ Aegean stables. But there’s a catch to it. In fact, there are several of those: first off,there are boundaries not to cross -and those are tighter than you might think- second, there are “Moroccan exceptionalism” features one needs to take into account, i.e. 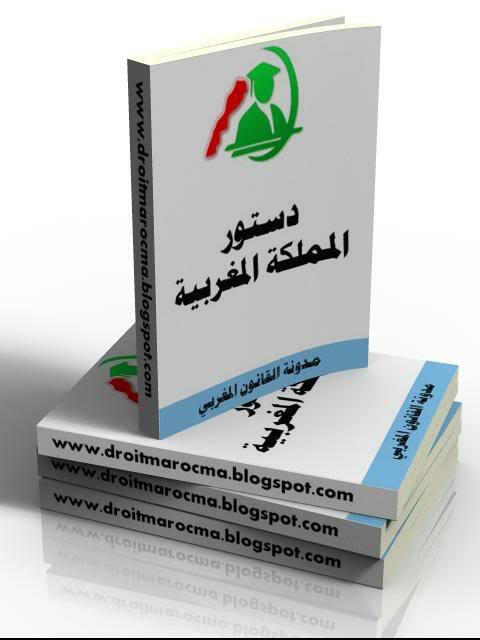 not to rush things; and last, the State tropism is the only viable paradigm in Moroccan politics, i.e. the very concept of individual welfare, or community well-being is necessarily encompassed within the State, whether Makhzenian or modern. Supposing these young people manage to take control of these political parties within the next half a decade, the ensuing struggle would leave them paralysed, and in any case unable to put forward any controversial proposals. It might go otherwise, but one cannot erase 40 years of meaningless politics with one clean swipe of 5 years of fresh, youthful activism. There was one aspect of our discussion I founded quite interesting to mention in extenso here: the official was very relaxed when I contradicted him, in the sense that he didn’t behave in that typical you-republican-in-disguise-plotting-for-the-downfall-of-our-beloved-fatherland and was very open and forthcoming in interacting with me – I mean he admitted the existence of dissent, and was generally in agreement that its existence and activism were strengthening more than threatening Moroccan democracy and development. But past beyond niceties about general principles, the typical Dakhilya way of thinking took over: “No, the Ministry or the Civil Service can’t supply you with Demographic features of specific boroughs. No, a Federal Morocco is out of the question. No, it will be chaos and mayhem if you make Mokadem and Caid positions elected offices“. In short, as long as a certain political project was deemed in compliance with certain guidelines (carefully laid out in High Places), then it is fine to be creative; Other than that, you are simply, and I quote: “Hard-headed”. Actually, this applied to those political parties he quickly guessed I was sympathetic to, or even a member of: PSU, PADS (and a little of Annahj, too). The other thing we agreed upon was that the Feb20 demonstrations were no threat to the regime’s stability. Quite the contrary, I was comforted in my belief that the blueprints of 2011 Constitutional upgrade -for this is not a genuine reform- were already in place (apparently as early as 2000-2001) and needed only some acceptance from the partisan spectrum. Rather, political parties themselves felt threaten -after most of them castigated the daring youth for being either manipulated, unreasonable, radical, and finally stubborn. 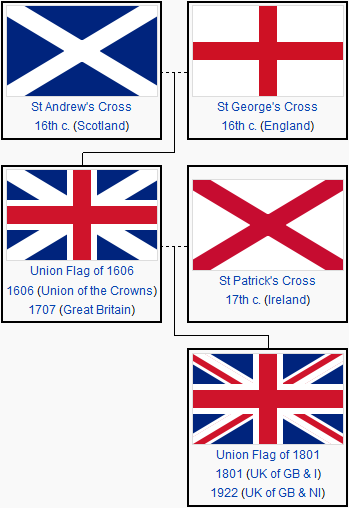 The Monarchy, the system surrounding it to be precise, is stronger both domestically and abroad. “join political parties and make them look credible so as to seize power. The monarchy will not obstruct”. Other things of peripheral interest to the main subject were mentioned as well: for his perspective, the 40 years long struggle between the National Movement and the Monarchy was very damaging to Moroccan perspective in growth, development and advancement in civilization. But then again, in his view, National Parties shouldn’t have engaged in a bras-de-fer with the Crown Prince, then King Hassan II. That curious (from my perspective anyway) interpretation of modern history was his reply to my favourite line: if the Monarchy was indeed keen to accept a real Parliamentary Monarchy, why was Abdellah Ibrahim Government systematically ambushed by the Crown Prince? It was as though his mind was definitely made up about that era, only he was respectful enough not to express it in blunt terms: the National Movement was the only responsible political body for the loss of time and resources Morocco suffered from over the last half a decade, not the Monarchy. So here it is: at least one school of thought within the regime pushes for a renewal of politics, because it prepares an alternative power and so enact a smooth transition from the “Executive Monarchy” to a true symbolic one. However, the transition has to be done on the regime’s term, and they will pick who qualifies and who does not. Even though the stated standard selection puts a large weight on competence and talent, the principle is un-democratic, and furthermore, the dictated terms are such that there is little room for political innovation: the State is still perceived as benevolent and in charge of individuals and communities, even though it has a poor record in achieving common wealth. In short, I came back home even more convinced I should stick with the Hard-headed bunch. First because I don’t like patronising tones and schemes, and second, while I agree political personnel needs renewal and a great deal of political savyy, I do not believe the movement should be hurried, or artificially created. That reminds me of the Charm Offensive Fouad Ali El Himma undertook vis-a-vis the Radical Left – presumably as a vanguard of a Modernist-Monarchist movement- around 2005-2006; once in a while, the regime wants to pick the brains of its non-governmental elite by means of alluring promotion or honouring their scholarly work for instance. Leave it Governor, the New Politics you are advocating cannot be the process of political engineering. the Changing of the Guard is coming, but on our own terms and time. It’s a funny business, this constitutional thing. The more one looks at past referendums,the less they would be inclined to give it a chance as a pro-democratic move. It is true we had some 5 major constitutional amendments (including the very first 1962 constitution) and yet we got stuck with the same old farandole: the King has it all, his powers derive from positive law (and the executive body in residence) and spiritual legitimacy (as the Commander of the Faithful in a De Jure Islamic community). And no matter how hard one tries to prove that such exaggerated concentration of powers is incompatible with basic democratic principles (as well as a gross distortion of Moroccan political history) the story goes unchallenged. 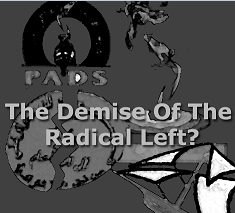 Only a small core of resolute radicals gainsay the Regal supremacy, either on the premises of religious misgivings, like Al Adl, or because it contradiction a secularist and democratic values upheld by left-winger like the Democratic Left (i.e. PSU, PADS, CNI and Annahj parties) and Human rights activists AMDH. "شعبي العزيز أدعوك لتقول نعم وأنا على يقين ستقول نعم"
Mainstream political parties, whether in government or parliamentary oppositions cosy up to the monarchy by trying to smooth as much as possible their position (if they’ve ever had any) on constitutional powers. Consensus is the word. Cranky, hurriedly patched-up in their defeat and taboo, but a consensus nonetheless. It would be dishonest of me not to share regular doubts I have on that particular issue of voting. I don’t doubt my intrinsic position (that’s what you usually might expected from stubborn radicals) on voting No; It’s the whole exercise that could be qualified at best as political jocosity, if not outright ridiculous travesty of democratic debate. How can one lonely blogger, an expatriate student on top of it, engage in a confrontation with what is essentially a royal will. It can still be considered a Lèse-Majesté crime to stand up and call for anything else than a ‘Yes’ vote (a ‘No’ or a Boycott are equally an offence). Will me and my likes be permitted to go on radio and TV to explain themselves freely? Will newspapers’ columns open up for contradictory views? Aren’t we -I assume there’s at least one other person that already made up their mind as well- crossing His Majesty’s will by calling for a different vote? That’s what happens when the constitutional is rigged so as to provide the ruler with discretionary powers. The game outcome is known even before it is played. Why, might one ask, waste time, energy and resources for a lost cause? These are my doubts. Are my actions going to matter? On a different subject, the recent interview Foreign Affairs Minister Taib Fassi Fihri gave on France24, as well as his statements in the US are unequivocal: there is a ‘glass roof’ for constitutional amendment, and though many consider this roof to be reasonable, it doesn’t change much then present regime structure; worse, it doesn’t introduce those changes we direly need-and for which serious political parties have been militating since 1962-. These statements also confirm -or at least do reinforce it- the opinion the future constitution has already been written, and the next two months are going to be be there for political theatricals. The No vote is based on two main and succinct arguments: first, we, as aspiring citizens, have not been consulted on this; The whole matter. Formally, the Highest Authority, according to the constitution, is not the King, but the People of Morocco (yes, it’s crazy, isn’t it? ); and in this particular instance (as well as countless others) we have been robbed of our right to look into the amendments before they are cooked up.The same argument applies to the appointed members of the panel; they might be respected scholars in their own right, but Mohamed Q citizen has not been consulted beforehand. Second, 3 months is deviously too short a period to discuss a seemingly important amendment. Actually, it amounts to even less than that: the commission has 3 months to dream up its recommendations, and in the happy event His Majesty agrees to its output, then immediately put it to the country. Those calling for a nation-wide debate will look like idiots, a new constitution will be voted and this brief interlude of unfettered debate will be closed. There are a lot of assumptions in this scenario, but the fact remains, an ambitious new constitution (that’s the sense it conveyed in the March 9th speech) cannot be wrapped-up in 3 months and voted on the fourth. That’s robbing the Moroccan people from a long-deserved new, actual democratic constitution. Assuming I would be allowed freely to distribute leaflets in my neighbourhood and engage with neighbours (a genuine democratic exercise, one might point out), how will we affect the final outcome? I am quite disillusioned when it comes to that: the new constitution will pass with a majority, and I have the feeling the size of such a win is going to matter more than its likelihood. I referred before to a vote of less than 80% Yes as a defeat. One of the main features our ‘National Consensus’ tenants like to boast about is that the Throne and The People are of one mind. How will this square with say, a 30% no? Will the King put to practise the old Malekite saying that goes like: “The Khalifa can do away with the rotten 1/3 of His population in order to salvage the remaining 2/3″? 46 years have passed since the infamous March 23rd, 1965. And though many forgot, or tried to, or did not know about it, the students’ and pupils’ riots have had far-reaching consequences, and it is safe to say that we are still experiencing some residual effects. A bit of history perhaps: by the mid-1960s, the political showdown between UNFP radicals and the Monarchy got exacerbated with tale-telling signs of economic depression. Indeed, after the sudden death of King Mohamed V in 1961, Hassan II engaged into a more open political activism, and publicized by his actions the covert clashes with the National Movement (especially the UNFP) to assert the Monarchy’s power on Morocco’s politics as hegemonic player. 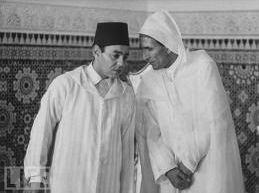 Things turned sourer when Hassan II announced a constitutional referendum by 1962. An established constitution was the National Bloc’s main claim after 1956, and though late King Mohamed V had repeatedly promised a hypothetical constitutional convention, such business was deemed junior to the more pressing task of carrying out day-to-day government. It seems that then Crown Prince Moulay Hassan was not at all happy with the idea, since the outcome was unpredictable, and would at best lead to a toothless monarchy an outcome he considered a hindrance to his own thrust for power) if not an outright dismissal of monarchy as a political regime. Such delays took form of governmental de-stabilization and the exacerbation of internal divisions between radical elements and pro-status quo within the Istiqlal, divisions that led to the UNFP breakaway. 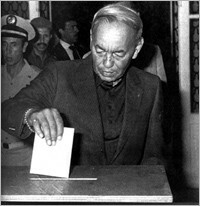 The 1962 constitutional referendum was, to say the least, a travesty of democratic consultation: though the ‘Yes’ had a cleat win of more than 90%, there were numerous instances of blatant administrative meddling, either by preventing Istiqlal or UNFP activists to vote, threats made to regular citizens, and especially in rural areas, local authorities bribed and threatened peasants to vote in favour. Furthermore, the constitution itself was the King’s brainchild, an adaptation of the very power-concentrated French 5th Republic Constitution (as it is, the Crown Prince was a great admirer of Charles De Gaulle, though admiration was not always reciprocal) Almost immediately, 1963 general elections (the first ever for parliament in Morocco, the second after the 1960 local elections) locked in the political balance into violent confrontations. 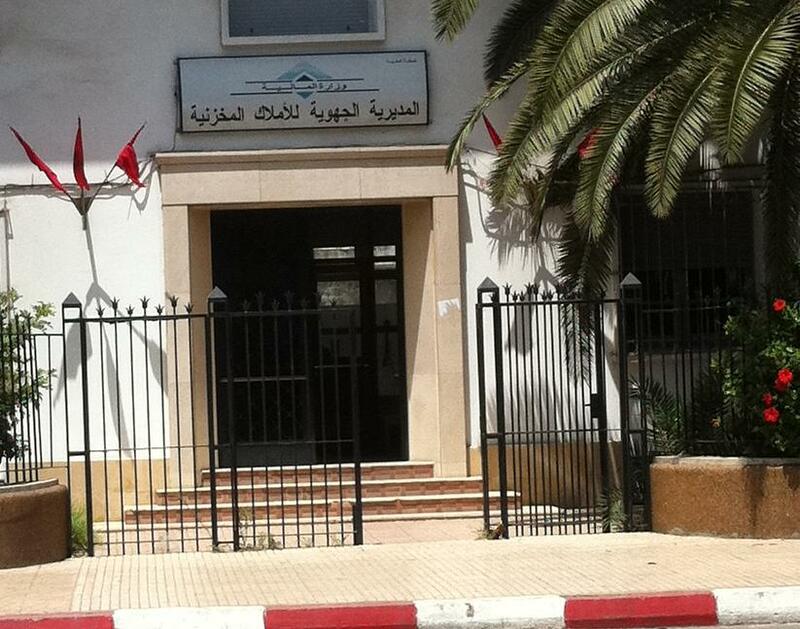 The immediate trigger for the March 23rd protests (that lasted 3 days: 21-22 and 23 march 1965) was a new education regulation (issued by then-minister Belabbes) that de facto prevented virtually all High-School candidates from being able to get their baccalaureate (a degree that allowed for a safe job with the civil service, and thus the most straightforward way to lift off poverty and acquire a social status. That is why not only pupils, but also their parents -and young unemployed- took to the street and express their anger. At times of bad economic forecast and aspiring masses to better standards of living, the administrative decision (though thought to have a likely small effect) had a symbolism such that the people’s cup was bare: strikes at schools, street demonstration, police repression, and ultimately, large-scale riots in urban centres like Casablanca (Mohamed V High School earned quite a reputation from then on). The riots were such that police soon gave up, and the Monarchy (and its then-most staunch henchman, General Mohamed Oufkir) soon called upon the army, who only too well willingly carried out methodical street fighting for wrestling back the control of the rioting cities (bullet impacts can still be witnessed on some buildings in Casablanca for instance). and finally, The King’s enthronement anniversary (July 29th). Is it too much to ask for a non-Regal national holiday?